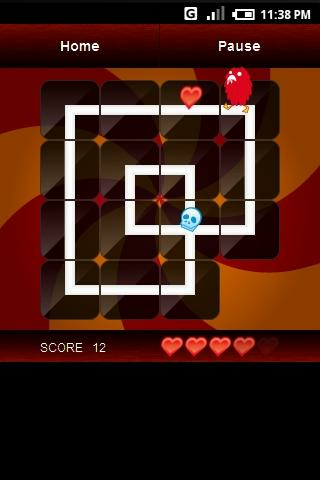 Connect the rails to collect the hearts. 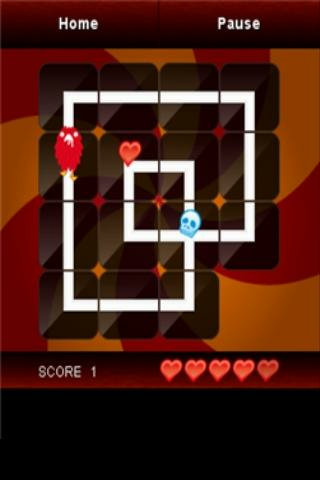 Move the rail panel(s) by tapping like a slide puzzle. Life points decrease constantly, and you lose more if the line to next panel is broken or if you get a skull.